It’s funny; it didn’t seem to matter how many temples we visited in Egypt, they were all so different, and all so beautiful in their own ways. 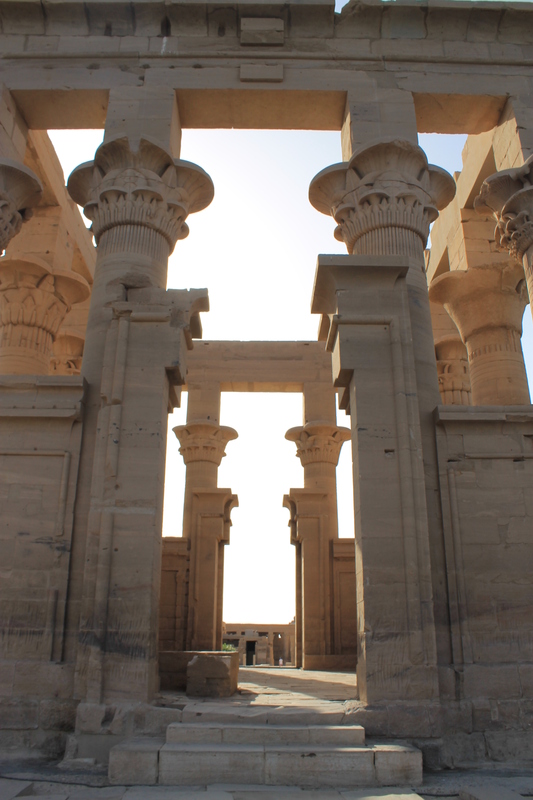 Philae Temple was a favourite for me, because it felt so secluded, isolated, and so peaceful. 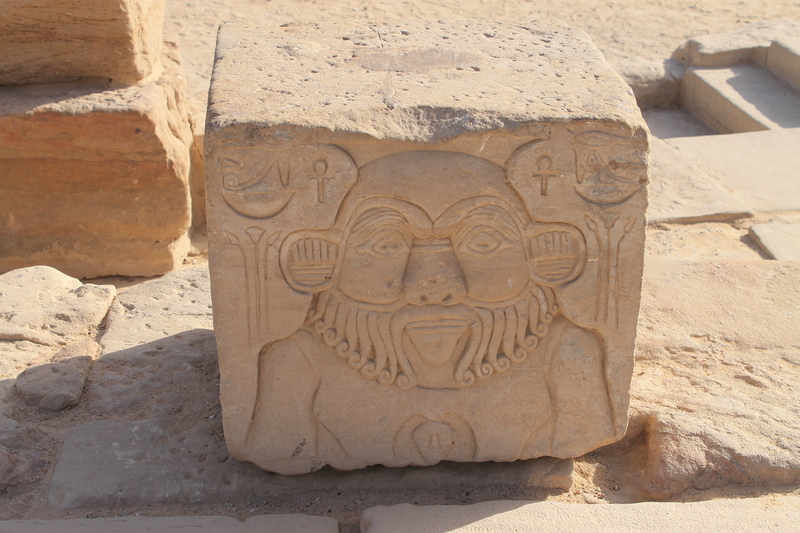 Located on a little island in the middle of Lake Nasser, it’s believed to have been founded around 370 BC. 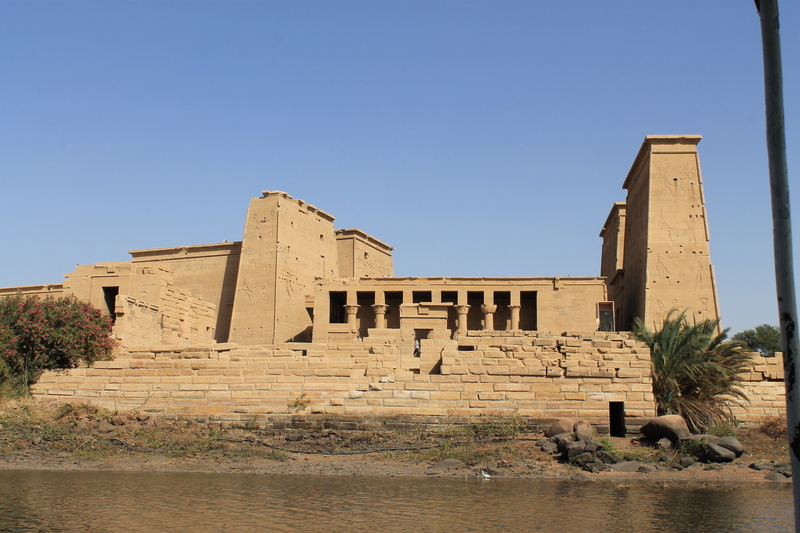 “Philae” translates roughly to “the end,” because it’s location defined the southern limit of Egypt at the time it was built. 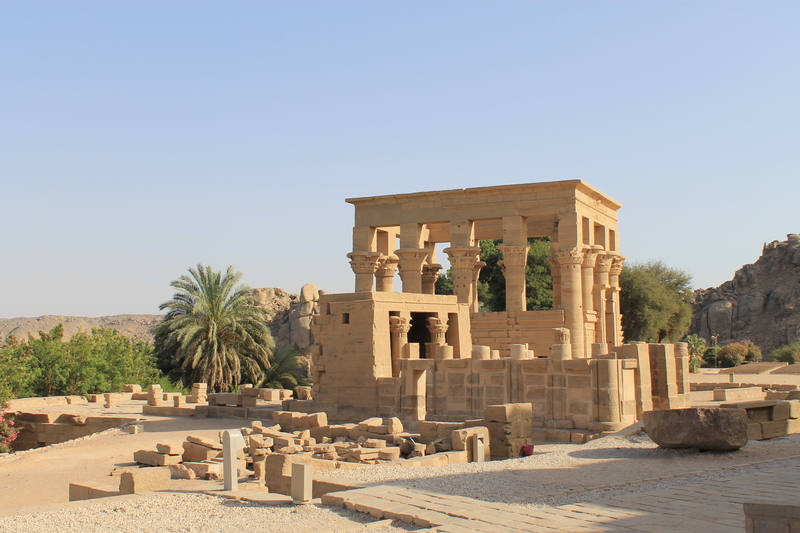 Much like Abu Simbel, also located on Lake Nasser, the original site of Philae temple was actually flooded, making it yet another wonder that was thankfully relocated and therefore saved for countless generations to come. It’s not located on an island called Agilika. One of the things that really stood out for me were the intricate lotus petal designs that crowned the columns throughout the complex. The lotus features prominently in a LOT of the temples we saw, and held special symbolic meaning to the Ancient Egyptians, representing creation, rebirth, the sun. 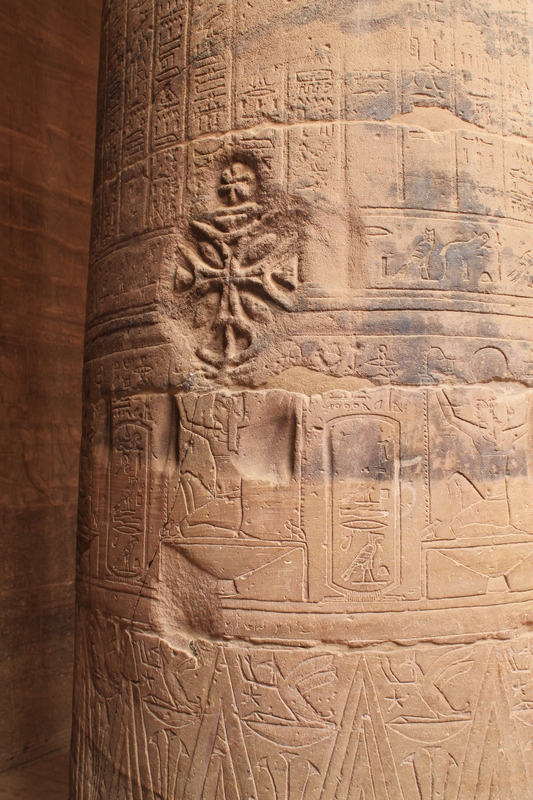 For the most part, the hieroglyphs were still incredibly in tact, considering the age of the temple, and we did see something that I thought was truly fascinating: ancient graffiti! 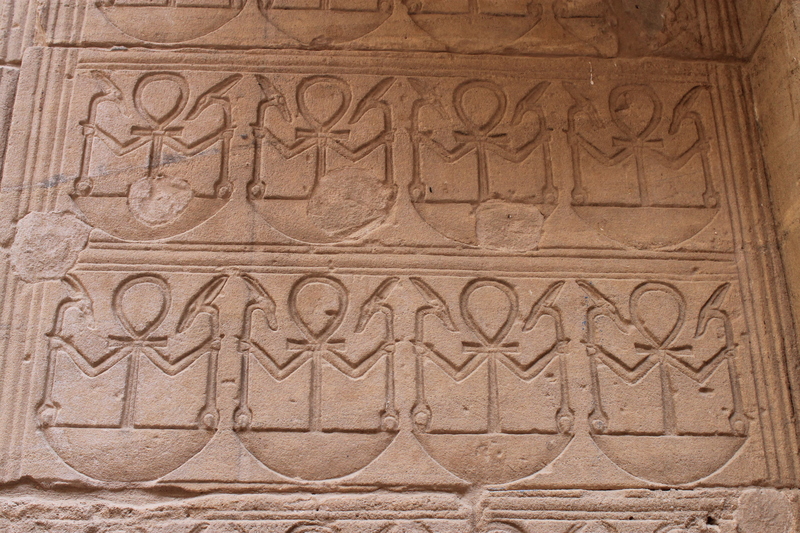 Below is one of the images I captured of a Coptic cross, defiantly etched over the original hieroglyphs by early Coptic Christians. They actually made their way through the temple defacing a lot of the original reliefs and art work, and it’s believed that a Christian altar was actually erected around 500 AD, in the courtyard. My most concrete memory of this place, though, was the view that greeted us towards the end of our wanderings. 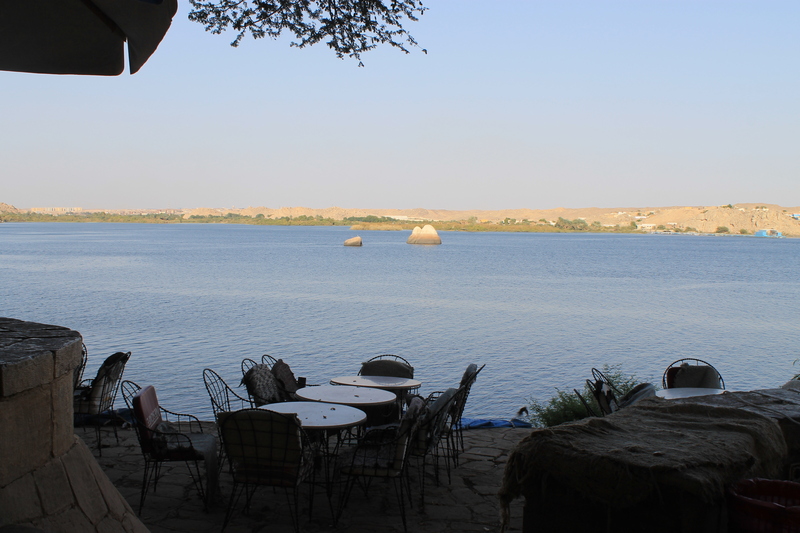 Lake Nasser, in all its sparkly glory under the midday Aswan sun. It was perfect, and always will be in my memory.